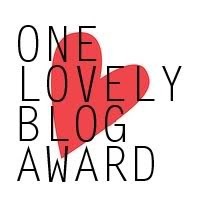 So i was awarded the One Lovely Blog award by Uduak of Finally me. Thanks so much darling. its good to know a few people like my blog and actually visit it. Name your favorite color: Black. you can wear it all through and it goes well with anything. Guilty pleasure: Diary Milk Whole Nut. Check out their blogs. Theyre all really cool. as you can obviously see ive given up on my 30 day challenge. x_x. my laptop had some issues so i couldnt post for a while. very sad story. wow! Thank you for the award. really grateful.